This is the new cover for the latest edition of Parachutes and Petticoats. Smaller, lighter, more compact and an amazing look into women's experience of the war that changed social attitudes toward "women's work" - revised and updated foreword by Leigh and Deirdre. My debut novel, Wait a Lonely Lifetime, was published by Avalon Books, New York in April 2012, but was a completed 'work in progress' when I spoke to Lia Brown in July 2010. I wrote this in two notebooks after a trip to Firenze, a city I felt an affinity for from the moment my train arrived. The inspiration for Wait a Lonely Lifetime came from a conversation that sparked my imagination and Firenze formed part of the tapestry. The novel is written in letters, emails and narrative, from both the hero's and the heroine's points of view. With the help of a challenge thrown down by friends and fellow writers, I completed the book in time to present it to Lia Brown at the 2010 RWA National Conference in Orlando, Florida. Wait a Lonely Lifetime is now available at Amazon and in Public Libraries. 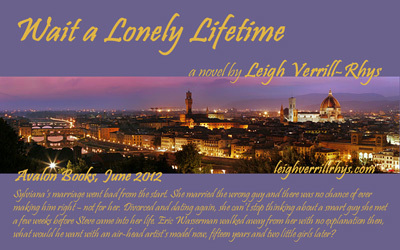 Since Wait a Lonely Lifetime's publication by Avalon Books in April 2012, Avalon Books was bought by Amazon Publishing. 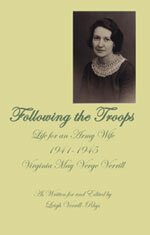 Ebook and paperback editions were published in October 2012 by Amazon's Montlake imprint. A snapshot of Wait a Lonely Lifetime : Eric Wasserman has left the Army after 4 years of service. His best buddy and the man who saved his life tells him that the olive-eyed girl Eric has been working up the courage to speak to will soon be Mrs Steven Langdon. Sylviana Innocenti has just met the man she knows she will love all the rest of her life. By the time she gets close enough and thinks he might condescend to talk to her – if she could only be quiet for a little while – he's gone. Firenze is the location for this novel - one of the most enchanting places I've ever visited. Although my stay was a matter of days, I felt such a strong connection there was no other place that would do to bring Eric and Sylviana together. I've included some of the lesser known events, landmarks and people in the novel, with special thanks to the guide who presented his case with enthusiasm. I had also discovered places and facts while wandering on my own along the Arno and the many vias and piazzas. The above photograph looks over Firenze from the Etruscan stronghold of Fiesole - another place in my novel holding special significance in the story of Sylviana and Eric. 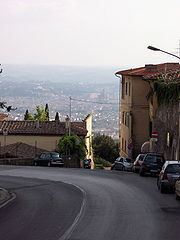 The novel is featured on the website of Firenze Turismo. 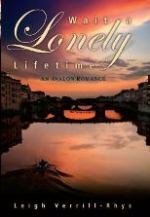 Wait a Lonely Lifetime is available as an ebook and paperback from Amazon and is the first novel in my In Love, in Europe series, each of which is set in a familiar European city, and are big city romances, sweet or semi-sweet. My contemporary novel, Salsa Dancing with Pterodactyls, was completed at the end of 2009 and revised in 2012 and was published by Eres in 2014. I have edited and revised the book and Salsa Dancing with Pterodactyls (2nd ebook Ed.) was published in March 2014 with a 2nd reprint paperback edition in 2015. This novel is a work of my heart and soul – my magnum opus. I began to write this novel when time came at less of a premium and, like all my work, filled pads of notepaper, some with scratchings and some with flow. 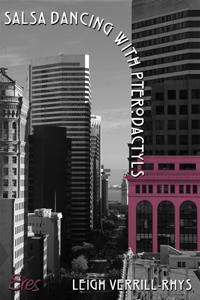 Salsa Dancing with Pterodactyls is a multicultural, interracial love story about an American family and takes place in San Francisco – my second home town. Just when her career in Public Relations is taking all the right turns, Emily Burdis is looking for a ‘pterodactyl' man. There are plenty of specimens of the breed among her friends but, as soon as she thinks she has found her own, he plummets from the sky or plunges his beak into someone else's heart. Corporate lawyer, David Gitano, is the least likely candidate for the role but, once Emily knows all the truths behind the lies he allows to be told about him, she soars into his hunting grounds. He knows all her secrets and wants to marry her but, on the day they have planned to begin living together, David rips out her heart and leaves her to the other corporate predators ready to tear the rest of her to pieces. My third contemporary novel is the second in the series, In Love, in Europe: This Can't Be Love is now available at online retailers: KoboBooks, on the iBookstore, Amazon, Smashwords and in print at Createspace as well as Amazon. How it came about and how I wrote it: I write all my books in longhand with a fountain pen, on lined notepaper or in a notebook. This Can't Be Love grew from experiences I was privilege to encounter while I worked with Community Arts organizations. The protogonist, Jakki Hunter, is an actress with bad luck with the men who find her, at least until she is picked up and dusted off at a construction site on Princes Street, by site manager, Mike Argent. 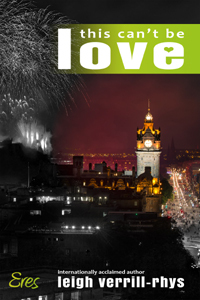 This Can't Be Love is set in Edinburgh during the August Edinburgh Fringe Festival. In Love, in Europe #2: This Can't Be Love is told from the point of view of the hero and I have had a wonderful time working through the male psyche! Read an Excerpt. 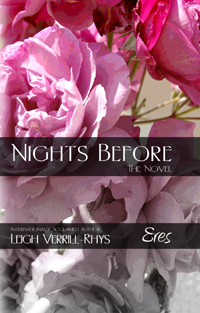 My fourth contemporary novel is Nights Before: The Novel. Nights Before is the paperback edition of the 'Twas the Night Before series, published over the period of December 2012 to December 2013. As an emerging writer, I prefered the short story to longer fiction. "Eureka Corners" is my most successful story to date. Shortly after I began to submit it to literary magazines, the story about an isolated man who sweeps the floor of a local bar, was selected to be broadcast on the Public Broadcasting System on its local radio station in San Francisco. It was also published in the magazine, San Francisco Stories. "Cat in the Woods" was published in Feldspar and "Warren's Hat" in Gramercy Review. I have since found that my imagination no longer fits within the constraints of the short story.